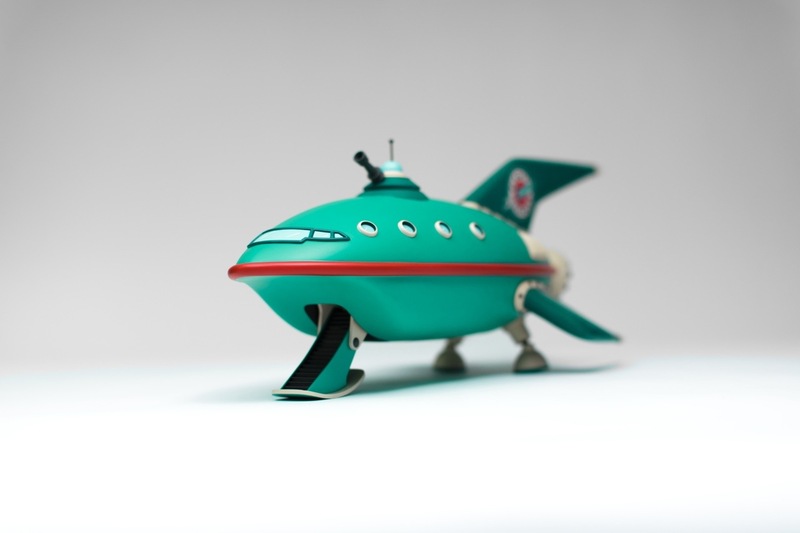 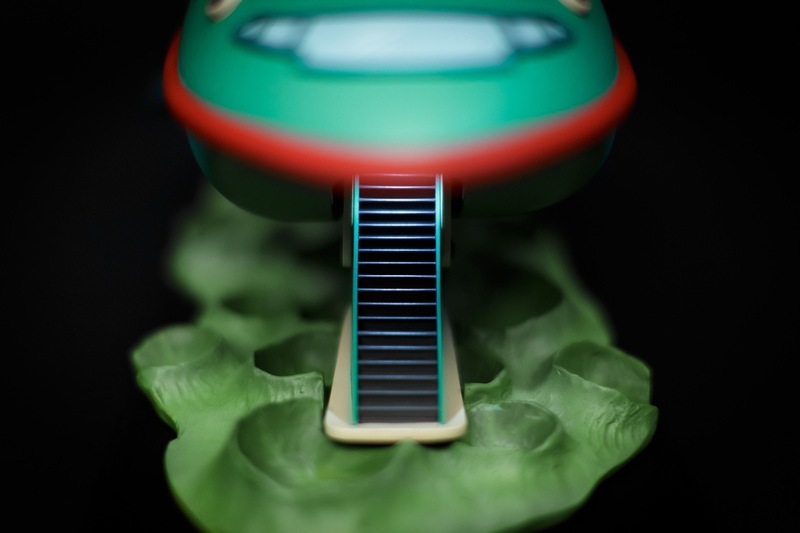 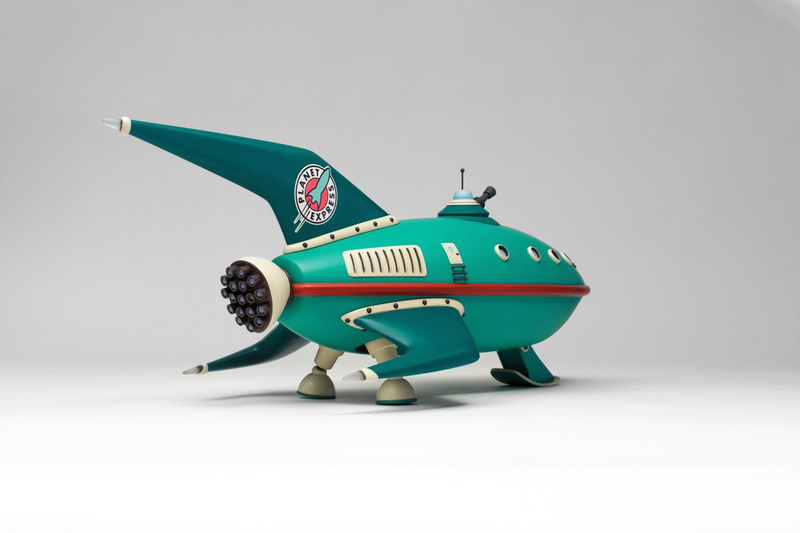 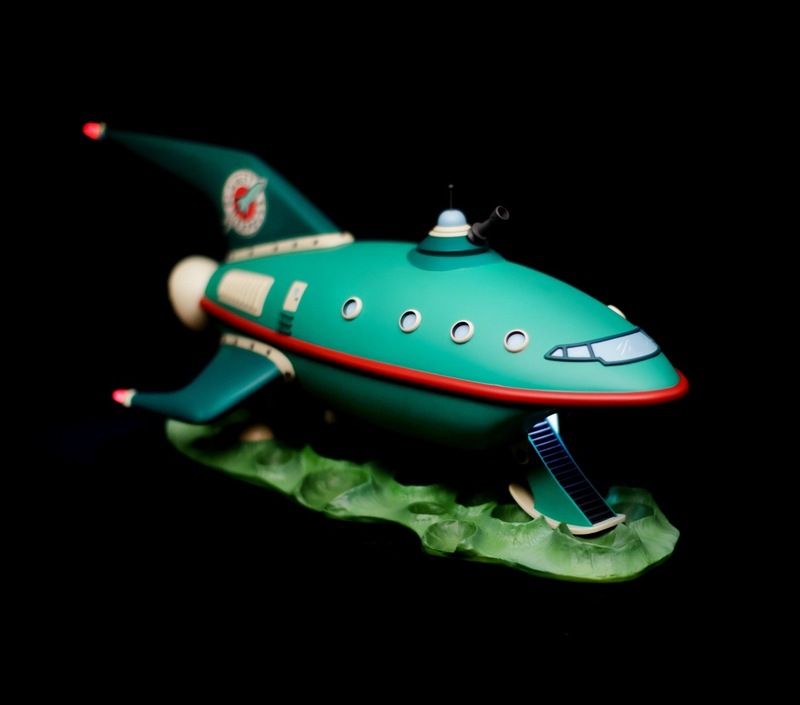 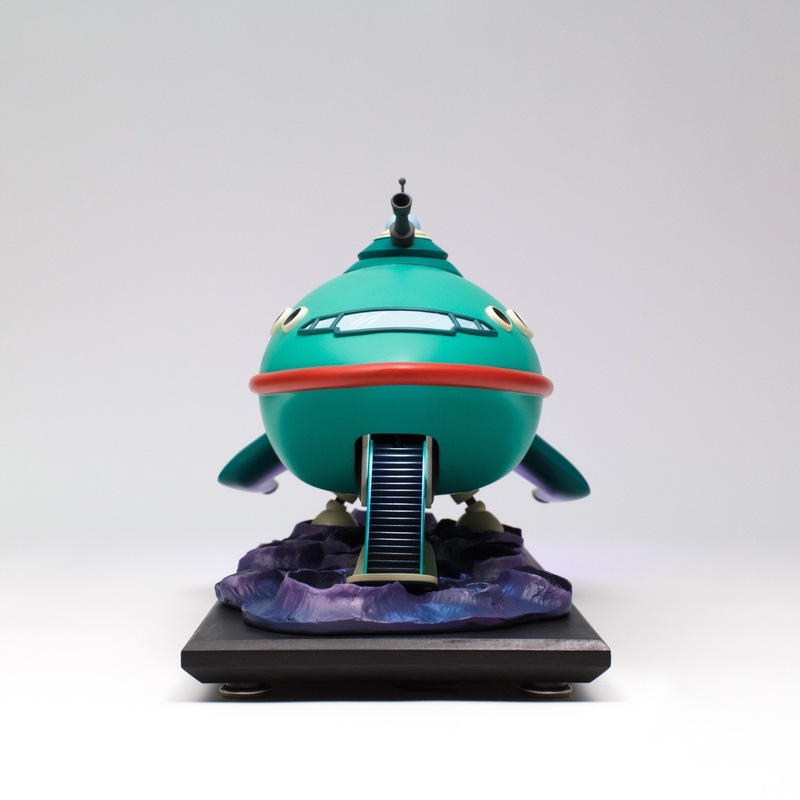 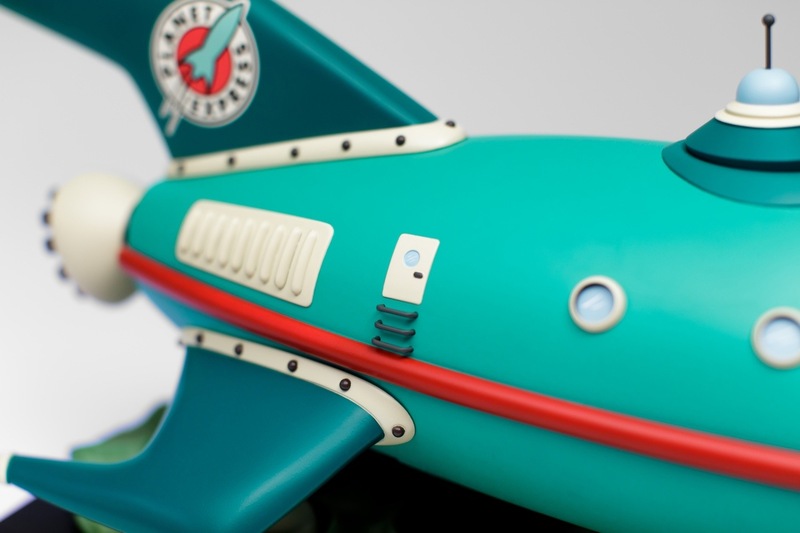 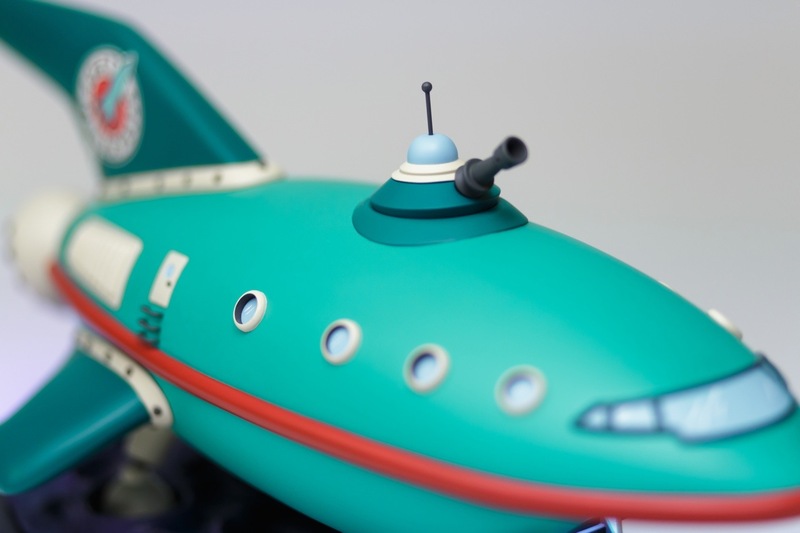 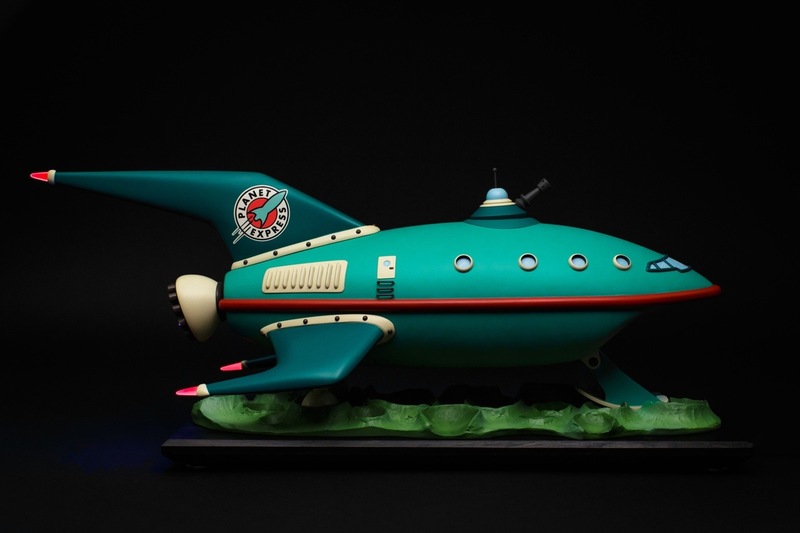 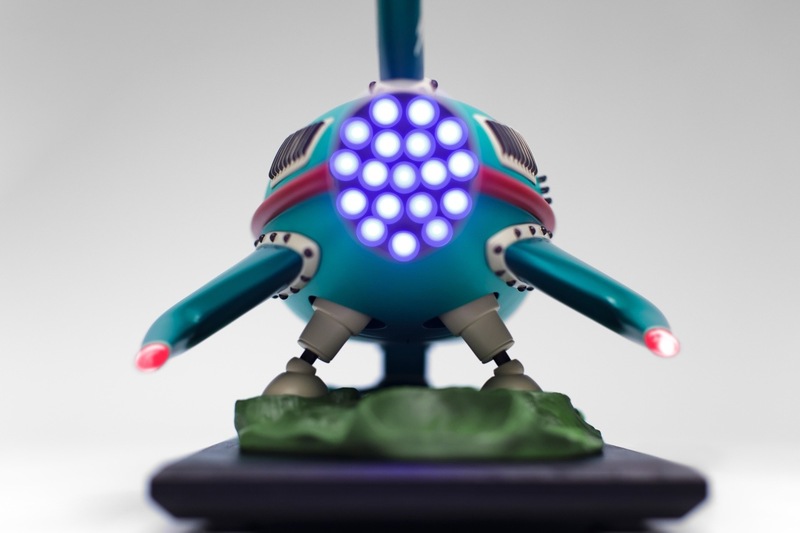 Commissioned as a display piece, the Futurama Planet Express ship (Ol’ Bessie) is a project I’m happy to have finished. 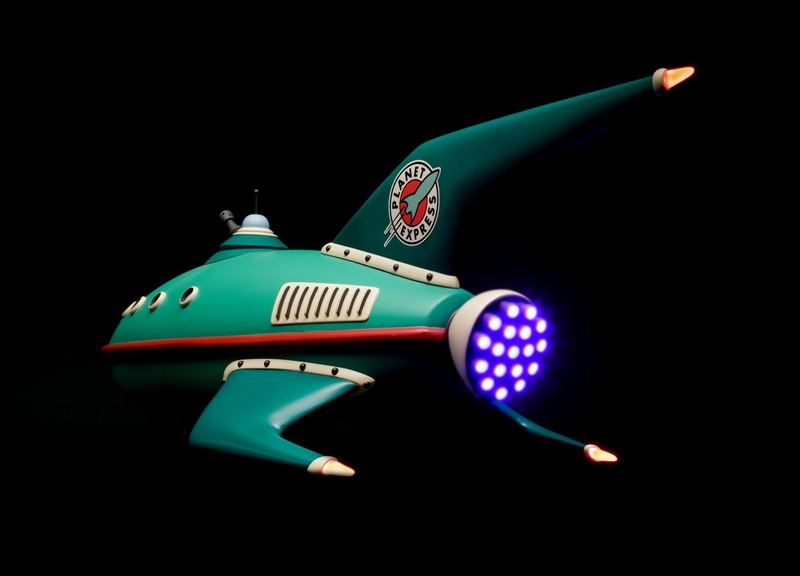 Futurama is a favorite franchise of mine and I was lucky enough to find two clients who wanted me to replicate the iconic ship for them. 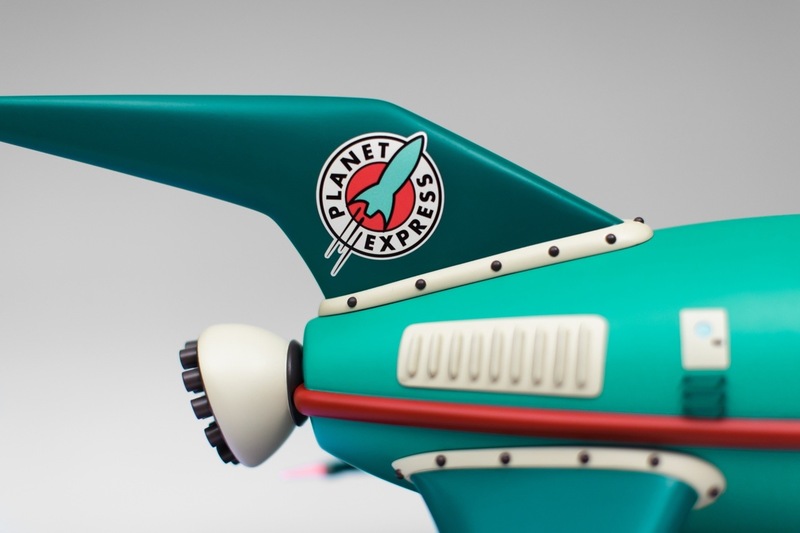 One of the most deceptively complicated pieces I’ve ever constructed, the Planet Express ship also posses another feature unique amongst the many replicas I’ve created: in order to best simulate a cartoonish aesthetic, there is no weathering whatsoever on this piece. 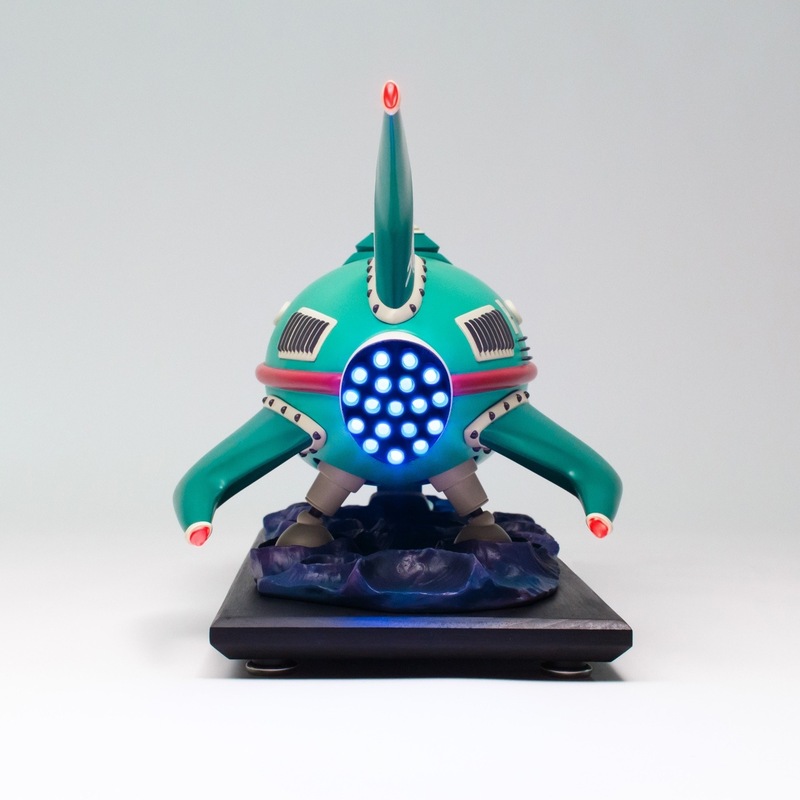 Ol’ Bessie is a 1:50 scale model featuring 22 LEDs, 18 of which form a pulsing thruster array in the dark matter engines. 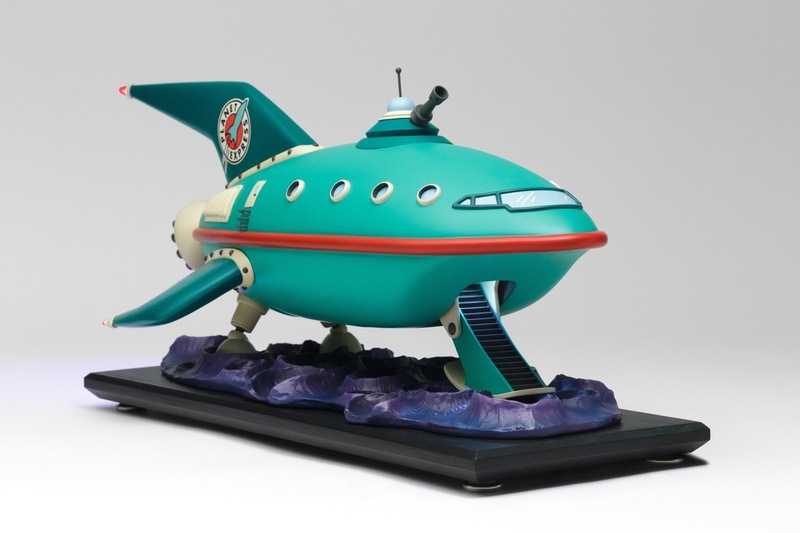 The entire piece was hand sculpted, molded and cast in urethane resin. 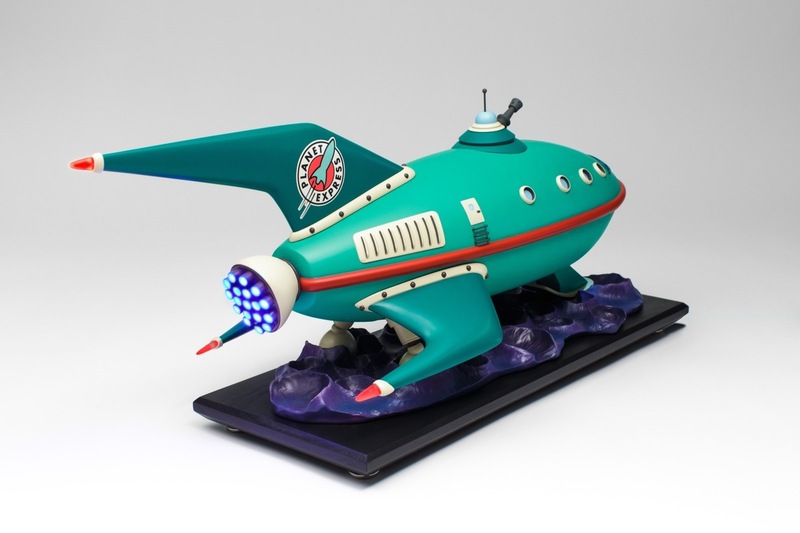 In the end, three finished replicas were produced.